SMAC’s latest cost down effort is partly based on the idea of “No Milling Allowed”. Parts are manufactured using precision machined plates with only LBL plates being machined. Drilling tapping and reaming processes. This allows us to offer to the customer an actuator that can exactly meet a required size and mounting. 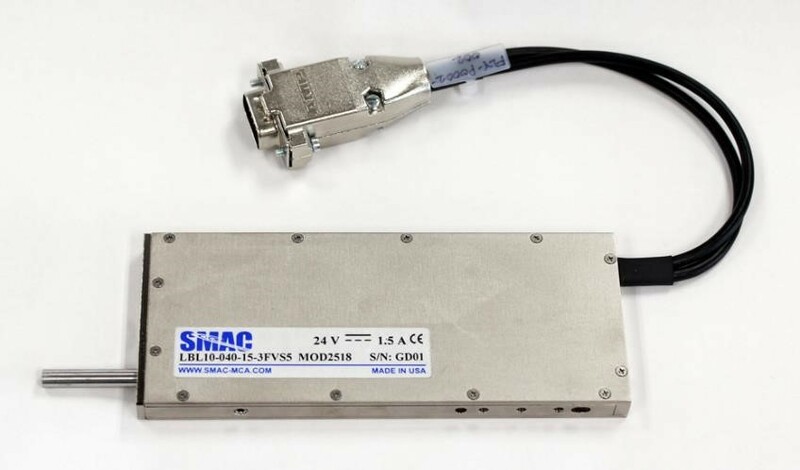 Customer specified housing SMAC installs a standard Moving Coil Piston and Magnet assembly. Replace an problem actuator - slow / inflexible / short cycle life - with a Moving Coil Actuator on a currently produced machine. Get an actuator that fits into a particular required space on a new machine. Allows you to get around the inflexible standard product offerings of many actuator makers. Get an actuator that meets the special mechanical requirements demanded for your particular application - ones that you know about and others do not.